No characters were announced this week. Miiverse Screenshots 2/24/14-2/28/14 In this screenshot, we see Diddy Kong using his rocketbarrels and knocking back Little Mac and Villager in Mega Man's Dr Wily's Castle arena on Wii U. The rocketbarrels have the power to now fly along more horizontal trajectories, and can bounce off opponents in mid-boost. In these screenshots, we see Mario and Bowser (above) on the Super Smash Bros. arena, and Kirby and King Dedede (below) on the W.V.B.A Punch Out!! arena, both on Wii U. Sakurai says these are two different stages, and not affected by what character is in the arena. In this screenshot, we see Fox McCloud doing his finishing attack on Samus in Mega Man's Dr. Wily's Castle stage in Wii U. Now, Sakurai explains, after using several attacks in a row it automatically turns into a finishing move. Diddy Kong Announced 2/21/2014, celebrating Donkey Kong Country: Tropical Freeze's release in Europe and North America, Diddy Kong, who was first introduced in Super Smash Bros. Brawl joins the battle! In this screenshot, we see Little Mac using an strong up attack on Mega Man in the Punch Out!! Arena on Wii U. Sakurai explains that Little Mac is a very powerful fighter on ground, and not a great fighter in the air, as shown below by Little Mac in the screenshot below. In this screenshot, we see Peach and Bowser checking out the new Fairy Bottle item (from the Legend of Zelda games) on the Super Mario Galaxy stage on Wii U. This new item takes away or heals damage and makes you less prone to attacks. In this screenshot, we see Mega Man and King Dedede in the Nintendogs arena on 3DS. As shown here, the puppy is ginormous compared to the fighters. If you've seen our website before, chances are you've read one of our most popular articles from last year. It explained the blocking of the app, and reasons for it. The new app, GBA4iOS 2.0 will be distributed from a different source with a new means of distribution. It was released, Febuary 18th, 2014. UPDATE #1: The new distribution developer account has been shut off, so to download or play the app after a reboot or first time download, you must set your date back to February 19th, 2014 or earlier. UPDATE #2: The dropbox sync has not functioned due to development pieces still being involved, so in a few days the app should update through the auto-update function. 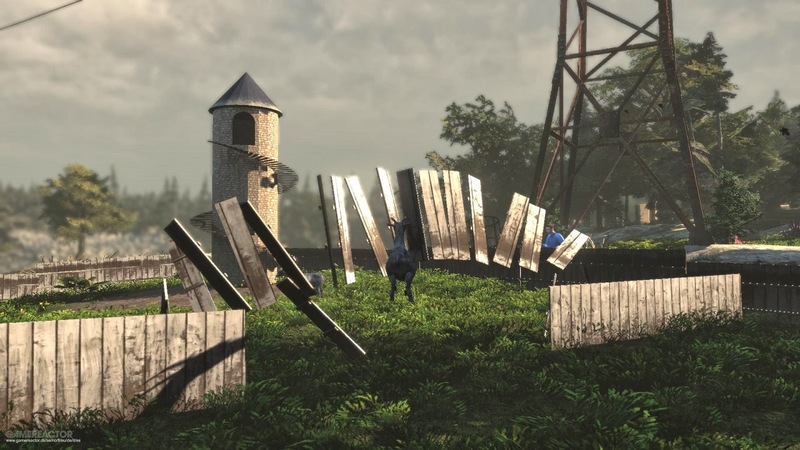 The gaming community has gone a bit nuts for the new Steam game, Goat Simulator. Other games like Surgeon Simulator and Farming Simulator have made everyday things become hilarious, so what happens when you put a human in control of a goat who is super strong? The story goes your a goat and now go do stuff. It places you into a virtual world full of people and obstacles to destroy. 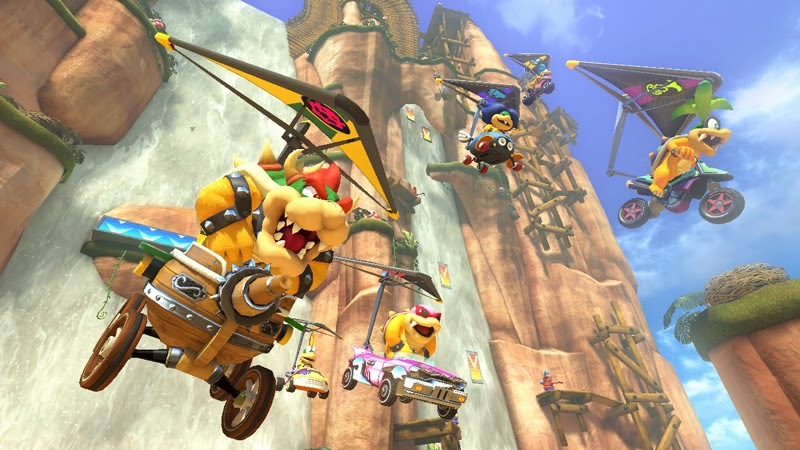 Bowser's not well known children (the Koopalings, or Koopa Kids) are newcomers to the Mario Kart 8 and were announced for the Mario Kart series in Nintendo Direct 2.13.14. All 7 Koopalings are in the game: Larry, Morton, Wendy, Iggy, Roy, Lemmy, and Ludwig. 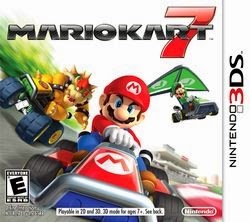 Bowser Jr, the most known of Bowser's children wasn't seen in the trailer and not announced as a racer yet, but he might be because he was in the Mario Kart Wii roaster. We see 3 new courses and 3 classic courses in this trailer such as Shy Guy Falls (as shown above) and Music Park as a classic course from Mario Kart 7. We don't know what characters will be removed from Mario Kart, but it's safe to assume Wiggler is not going to be a racer this time around because Yoshi is riding a kart shaped like a Wiggler in the trailer. Besides these little details, the trailer shows off much more, so I recommend you watch it. Miiverse screenshots 2.10.14-2.14.14 In this screenshot, we see the background of the Nintendogs stage for 3DS. The background detail shows one of the dogs watching the television. 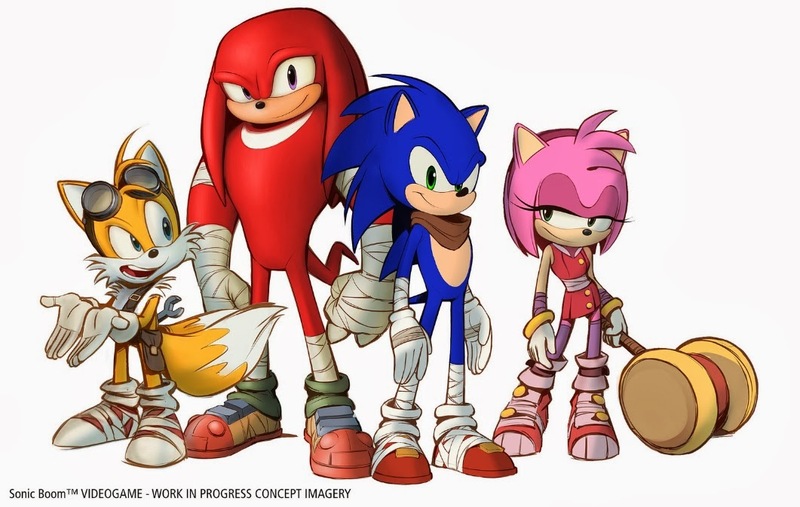 Some big news for Sonic fans had come out from Sega today about a brand new video game called Sonic Boom, coming later this year for the 3DS and Wii U. Sonic Boom was announced last year as a television show airing fall 2014 on Cartoon Network featuring redesigned versions of the Sonic team: Sonic, Tails, Knuckles, and Amy. Word was spread about a new Sonic game, and no new news was announced until today. Sonic and friends find a mysterious island as the trailer goes, and then they run off on an adventure. This is all the evidence I have for figuring out what the plot is, besides the absolute: defeating Dr. Eggman. Each character has his/her own special ability, like Tails, who can use a ray gun and fly using his tail, like in the original Sonic The Hedgehog games for the Sega Genesis. The trailer reveals some of the brand new moves and how the environment might look like in this new Sonic game. It is close to the next iOS announcement, and possibly a large improvement on iOS 7. A controversial topic was the icons of iOS 7, and many, including myself, hope that improvements can be made for the iPad interface as many apps aren't supported like Calculator and Weather, and many things feel stretched out and odd looking. The dock on the iPad and iPhone look the same, but an iPad looks odd and one background can't match the theme. Of course, these are just my opinions of iOS 7 and the interface.